Found A Small Scorpion in Gauteng? 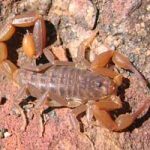 There is a small reddish-brown scorpion that commonly enters houses in Gauteng (and Bloemfontein, Kuruman, Bethulie and other major centres) which has causes a lot of drama for no reason at all. This scorpion is called Pseudolychas ochraceus and is unusual because it thrives in the urban environment. Their natural habitat is riverine valleys and areas of dense vegetation. It prefers damp, moist areas and often shelters under rock, rotting logs and inside leaf litter. During the warmer times of the year these scorpions become mobile in the environment and often enter houses where they end up trapped in bathtubs, sinks and showers. They have also been found under face clothes, dish cloths and in laundries. The prefer places of increased moisture. It’s not uncommon to find a few individuals in your house over a period of just a few months. It’s a very docile scorpion and stings are rare. 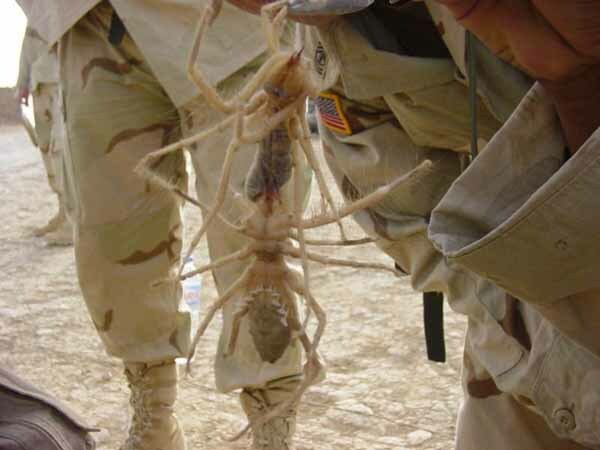 Contrary to popular belief, this is not a highly venomous scorpion. Stings are similar to a bee sting. 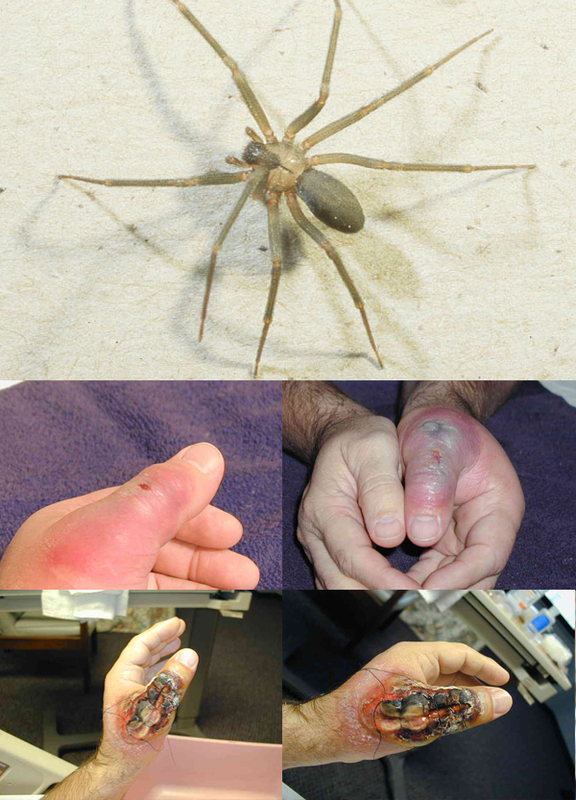 Antivenom is not necessary and you nor your child or cat are going to die from the venom. Because of it’s small size, up to about 28mm in length, many people think that they have a baby scorpion in their house. If there is one baby scorpion, there must be more. If there are more scorpions there must be a nest and a mother and father. This of course is not true, as it’s mostly adult scorpions that enter houses. Reading all the advice on newsgroups, newspapers and emails, it’s evident to see that there is still a lot of confusion, misinformation and ignorance surrounding scorpions and their venomosity. 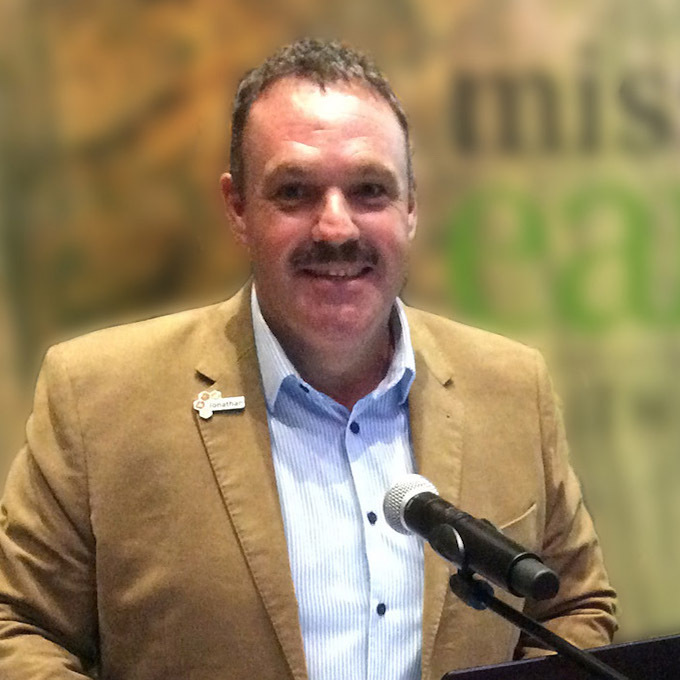 Misinformation spread by social media, people and organisations who should know better is still the main hurdle hampering scorpion conservation. If you find one of these scorpions in your house, please scoop it up into a jar and release it in the late afternoon in a densely vegetated area at your local nature reserve. These scorpions are not highly venomous and by no means a danger to adults, children infants or pets. They are reluctant to sting, however, if anyone is stung expect intense localised pain for a couple of hours. If anyone has been stung by this scorpion there is no need to go to hospital. A sting will cause besting like symptoms. Antivenom is not needed at all. Just because you are allergic to bee stings does not make you allergic to scorpion venom. One of the few scorpions scorpion that can live within the urban environment! This scorpion has been found in industrialised areas and 5th floor flats. There is no way to stop scorpions from entering your house, or rid your garden of them. If you find one in your house, scoop it up and let it go somewhere where there is vegetation. 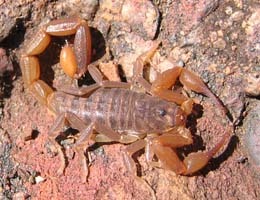 These scorpions live in moist habitats, under rocks, plant pots and in leaf litter. Insecticides are for insects, not spiders or scorpions. 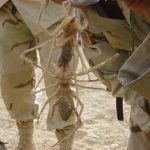 There is a common question that is asked when discussing scorpions and their medical importance – How dangerous is it? 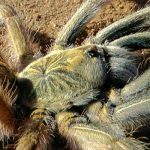 Traditionally authors have attached danger rating to venomous animals in an attempt to indicate the consequences of being bitten or stung, however, all that this danger rating really conveys is a lack of understanding of how we interact with the natural world. We can all appreciate that driving a car down a busy street at 200km per hour is dangerous, but sitting in a parked car is not. It’s not the car that introduces that element of danger, but rather how we interact with the car. The same applies to scorpions, spiders and other venomous animals. In the same way, the way that we interact with a scorpion determines the danger. A calm and relaxed thick-tailed scorpion is not dangerous at all, however if we try to kill, harm or catch the animal, then we introduce the element of danger as the animal will defend itself the best way it can… using its venom. If we really want to label things as dangerous, then the act of smoking, driving a car, skydiving, fast foods and alcohol are all far more dangerous than any scorpion, spider or snake. Argument From Ignorance Is it dangerous?